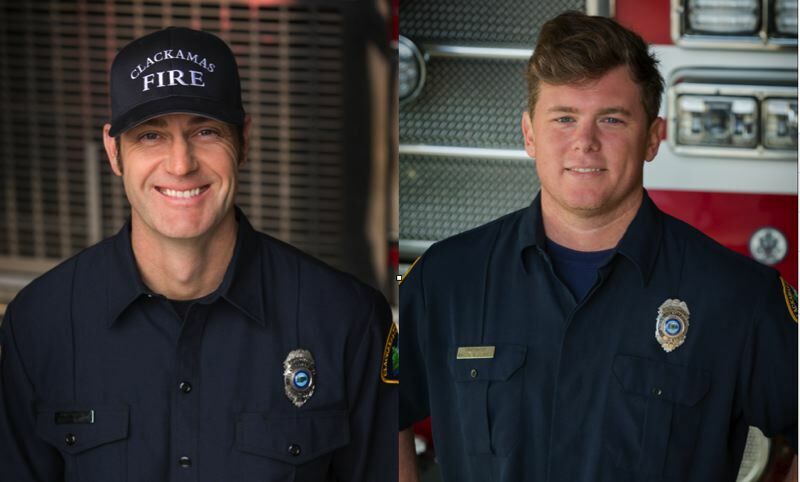 Two Clackamas firefighters were recognized with Oregon Fire Chiefs Association Medals of Honor for their response and dramatic rescue at a residential fire. The OFCA's Medal of Honor is awarded to those who, in the line of duty, give their life, or distinguish themselves by an act of extreme courage involving risk of imminent danger to themselves, with knowledge of such risk, above and beyond the call of duty. The 2018 Oregon Fire Service Meritorious Awards were presented Thursday, May 10, at the Eagle Crest Resort in Redmond. On Sept. 6, 2017, firefighters Scott Kohler and Matt Towner from Clackamas Fire's Heavy Rescue 305 made contact with two women who escaped a blaze, confirming there was another woman still inside on the second floor of a home on Top O Scott Street near Happy Valley. Kohler and Towner made their way up the stairs as the fire pushed its way down the hallway and the carpet melted under their boots from the intense heat. They located the 62-year-old woman in her bedroom walking around aimlessly and holding a washcloth over her mouth. Kohler and Towner closed the door to the bedroom for protection. As the door was burning, Kohler used his bailout rope system by attaching the hook on the windowsill. Towner assisted the woman onto Kohler, as he hung from his bailout rope a couple of feet below the windowsill. Kohler grasped the woman and shielded her from the fire. The fire engulfed the entire room and was rolling out the window as Towner bailed out next to Kohler. They held the victim as other members of Heavy Rescue 305 climbed a ladder to bring her down. She was taken by ambulance to the hospital and treated for burns and smoke inhalation. She spent one month in the hospital before being discharged. From the time the call was dispatched to the time the victim was safely out of the home was just under 10 minutes. Also at the May 10 event in Redmond, Clackamas Fire Lt. Deputy Fire Marshal Valere Liljefelt was recognized with an Award of Excellence for developing a program that positively affects the fire service. In 2015, Clackamas Fire identified a need to provide fire and safety information to multifamily housing managers and residents, and to improve fire code inspections for those properties. Due to the large number of responses to apartment complexes, firefighters need to quickly identify the location of the resident, available access, and whether Oregon Fire Codes were applied fairly and consistently. 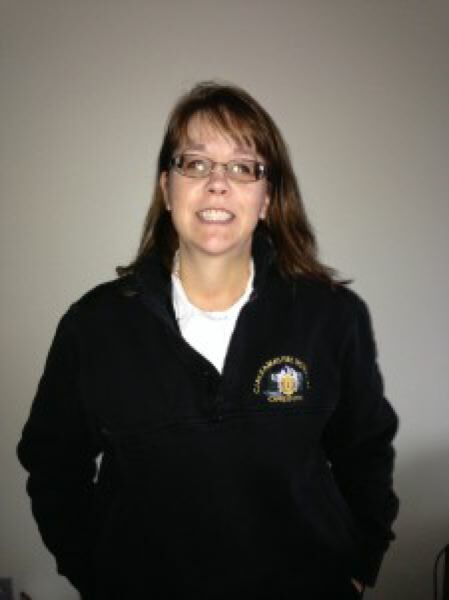 Liljefelt began educating residents and managers/landlords to have more control over their own safety and to make better decisions that can affect those who live around them. She received financial support from a Federal Emergency Management Agency grant in 2016 to expand the apartment program by paying for educational materials for multifamily residences, bicycle helmets, specialized smoke alarms for people who are deaf or hard of hearing, and window stops to help prevent children from falling. In 2017, mobile home parks and manufactured home communities were added to the apartment program. In these communities, Clackamas Fire addresses water supply, access, visible addressing and provides educational materials. In the first two years of the apartment program and as a result of Liljefelt's inspections and compliance efforts, property owners installed 914 carbon monoxide detectors and 1,127 fire extinguishers for those who previously did not have them. She has educated managers about fire codes, built influential relationships with them, and provided tools and resources to support apartments in maintaining compliance. Clackamas Fire Chief Fred Charlton said, "We are so proud of the outstanding work of Lt. Deputy Fire Marshal Liljefelt and the lifesaving efforts of firefighters Kohler and Towner. Receiving recognition from the Oregon Fire Chiefs Association is a great honor."